No room could be too well-lit, and most don't have enough lighting elements. 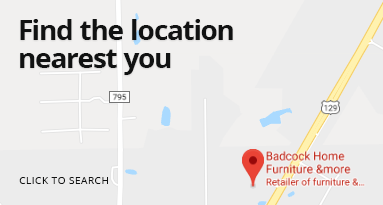 You can change that with a few clicks of a mouse when you buy home décor from Badcock! You find yourself not sitting in specific areas because they seem too dark. You're always squinting to read things, even on your lighted device or laptop. You don't have any overhead lighting in the ceiling and have to rely solely on lamps. You feel like some of your home decorations aren't being showcased because they're in low light. You don't have enough windows to provide natural lighting. Sound familiar? 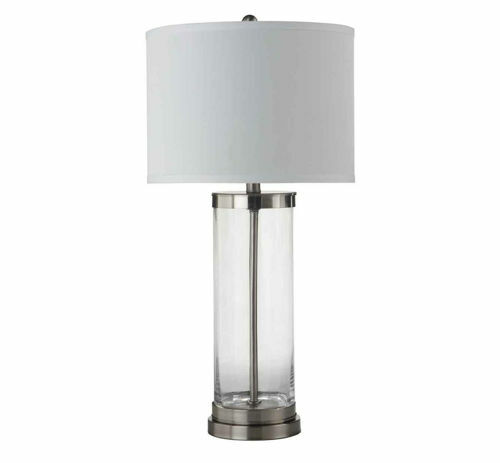 Browse our home décor lamps and lighting today! If you want to buy many home décor items at once, ask us about our exceptional financing choices! 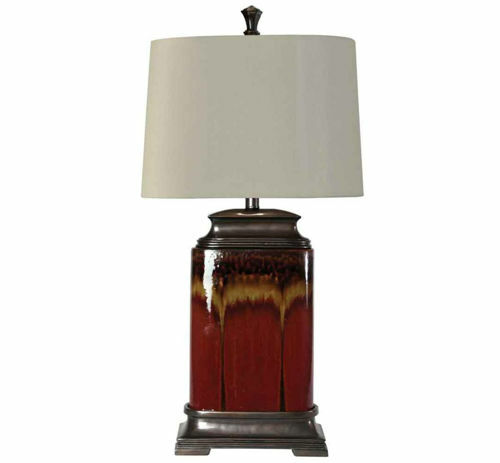 The Arizona table lamp base is a multi color rust and is made of ceramic it has a white hardback drum shade. Has a 3-Way switch and 100 Watt max it measures 16"W X 10"D X 30"H. "Buy the pair and SAVE!" 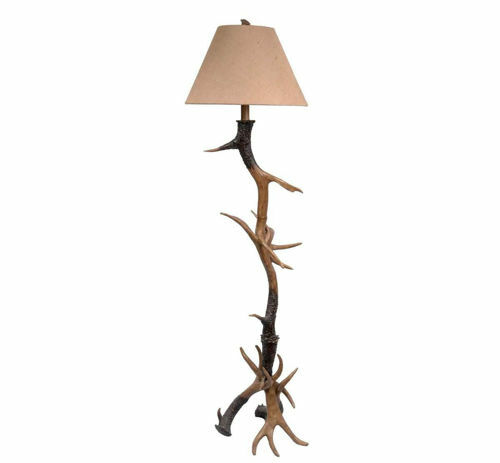 The Barker lamp has a realistic looking resin log style base with an off-white tapered hardback linen shade. With 3-Way 100 Watt max switch and measures 16"W X 16"D X 28"H. Buy the pair and SAVE. 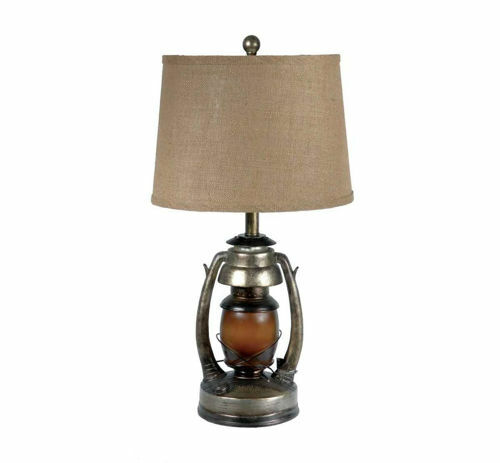 This bronze lantern shaped lamp features a drum shade and a softer nite light feature, measures 15.5"w x 15. "d x 26.75"h. "Buy the pair and SAVE!" Tan ombre fade ceramic lamp with a tan hard drum shade, measures 16"w x 16"d x 31.25"h. "Buy the pair and SAVE!" 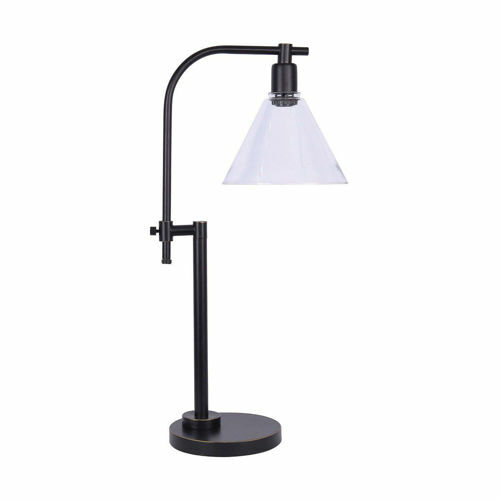 This lavish lamp will offer the perfect addition when updating your home décor. 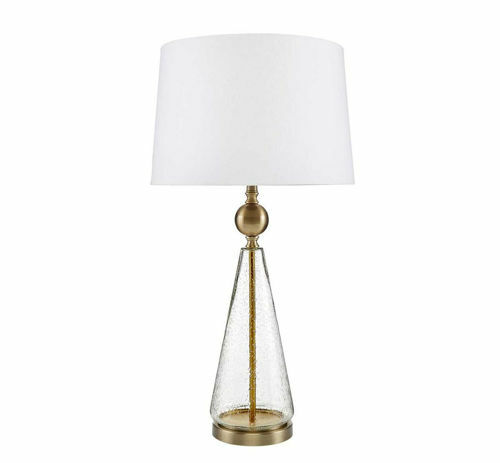 Featuring a tapered clear seeded glass body that is paired perfectly with Antique Soft Brass accents. All of this finished off with a crisp off white linen shade. 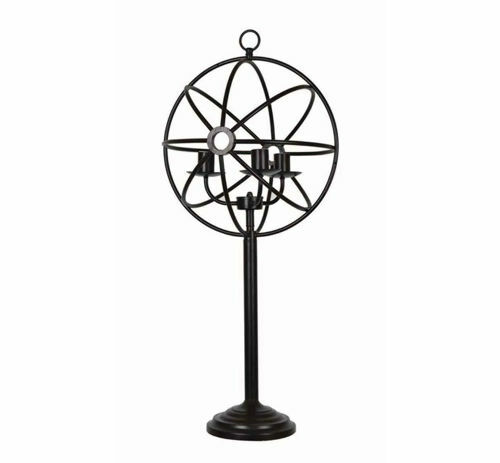 This will radiate charm in any space! 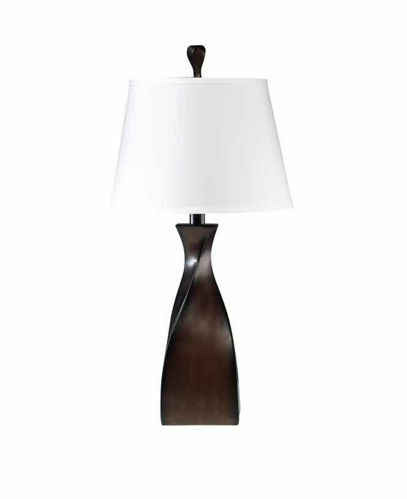 This is a casual contemporary polyresin lamp with a twisted base and dark rubbed edges. It sports a off-white tapered drum with detailed matching trim, measures 15"W x 15"D x 30.5"H. "Buy the pair and SAVE!" This clear glass lamp features a removable top that is perfect for filling with collectibles. Topped off with a hardbacked white linen drum shade, measures 13"w x 13"d x 29.25"h. Buy the pair and SAVE. 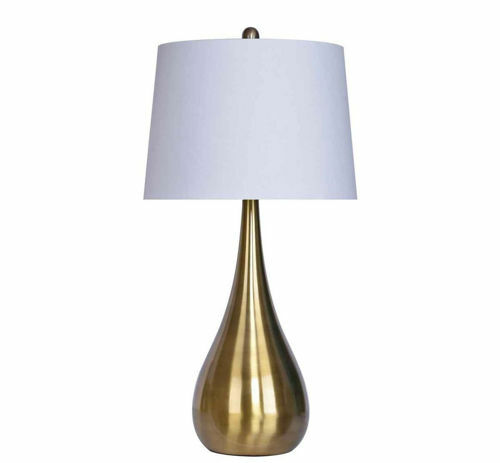 The Gilt lamp has an orb shaped antique soft brass colored metal base and a white linen drum shade. It measures 15"W X 15"D X 29.5"H is a 3-Way switch with a 100 Watt max. "Buy the pair and SAVE!" This beautifully styled ceramic table lamp showcases a tapered base that builds into a robust, rounded pillar design with custom vertical scoring that helps show off the body's deep blue finish and it topped by a hardback drum shade wrapped in crisp white linen. This beautifully styled ceramic table lamp showcases a tapered base that builds into a robust, rounded pillar design with custom vertical scoring that helps show off the body's deep blue finish and it topped by a hardback drum shade wrapped in crisp white linen. Buy the pair for $179.90 (994936). 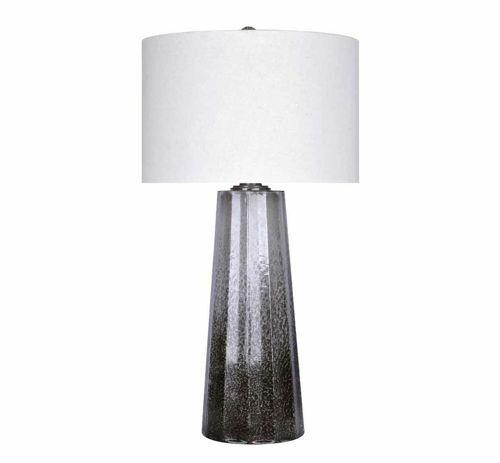 The Opaline lamp has a grey base with a white hardback linen drum shade. It features a 3-way 100 watt max switch and measures 15.5"W X 15.5"D X 28.5"H. "Buy the pair and SAVE!" 27.75" H High Gloss gold base with white linen tapered hardback shade. 3 way switch, 100 watt Max socket. "Buy the pair and SAVE!" 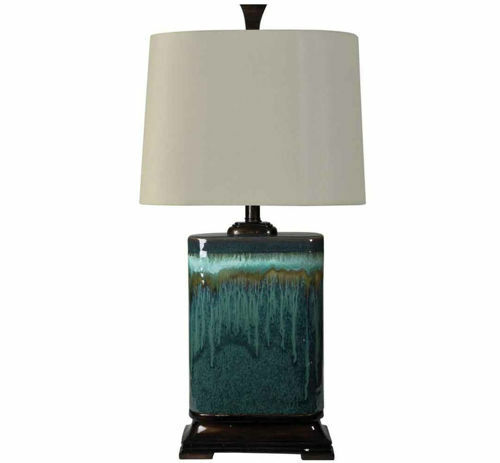 The blue color of the Reynolds lamp gives a unique look to the glass base, it has a drum silk like shade. It has a 3- way switch and 100 watt bulb max and measures 15"W X 15"D X 29.75"H. "Buy the pair and SAVE!" 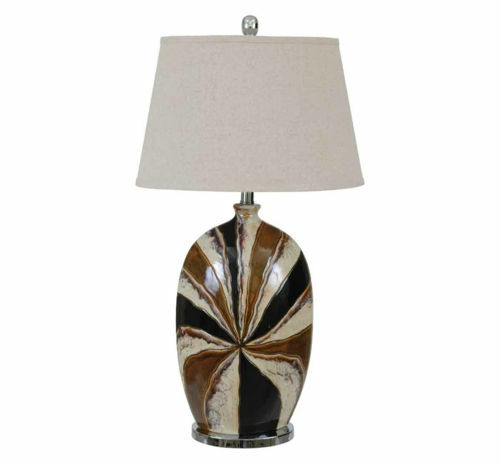 Brown, tan and black ceramic lamp with a sunburst design and an oatmeal linen drum shade, measures 17"W X 17"D X 32.5"H. Buy the pair and SAVE. The Tide lamp is a beautiful blue multi colored lamp. 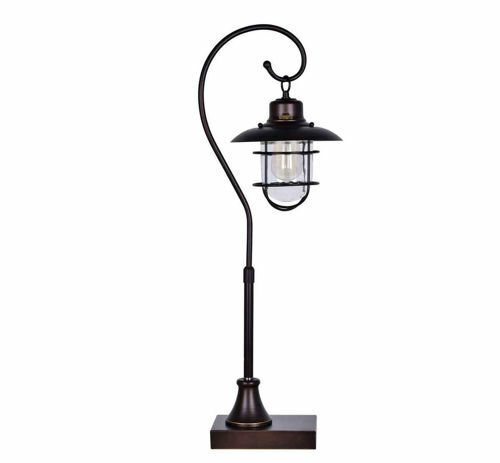 Made of high quality ceramic with a white tapered drum shade and offers 3-Way lighting with a 100 Watt max. It measures 15"W X 9"D X 32"H. "Buy the pair and SAVE!" 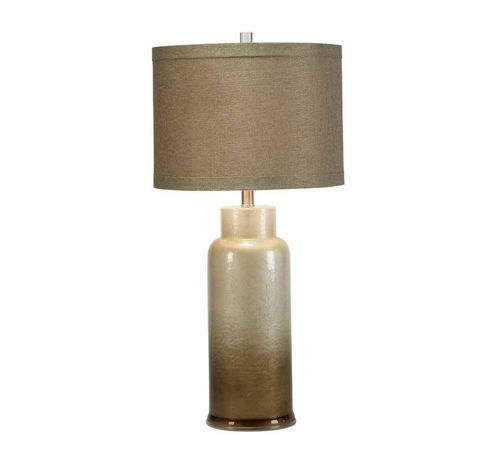 This is a casual contemporary polyresin lamp, natural sponged base with dark rubbed edges and an oatmeal colored linen softback drum shade, measures 15"w x 15"d x 30"h. Buy the pair and SAVE. 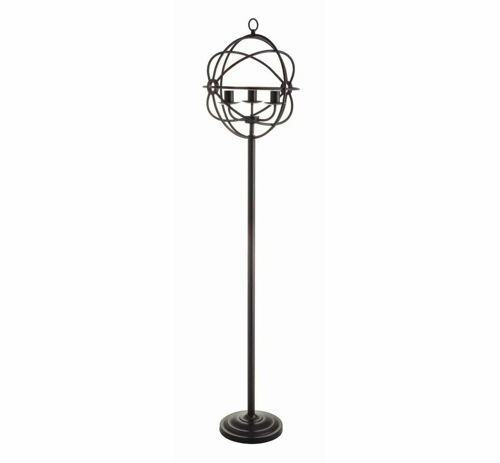 39'' H Metal table lamp with 3-edison bulbs and mesh covered shade. 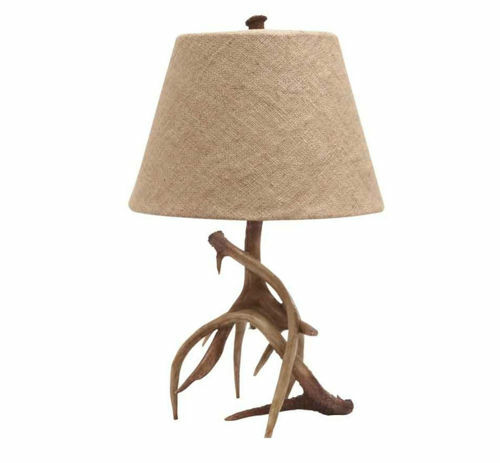 This faux deer antler floor lamp features a natural resin base and a burlap tapered shade, measures 18"w x 18"d x 68"h.
This antler themed lamp is perfect for bringing a lodge feeling to your home. The natural resin base is made with hand poured poly resin and topped off with a tan drum shade, measures 18"w x 18"d x 31"h. "Buy the pair and SAVE!" 33"H Hanging pendant table lamp. Metal and clear glass. Oil rubbed bronze. On/off line switch, 40 watt max socket. Antique white bulb included. "Buy the pair and SAVE!" 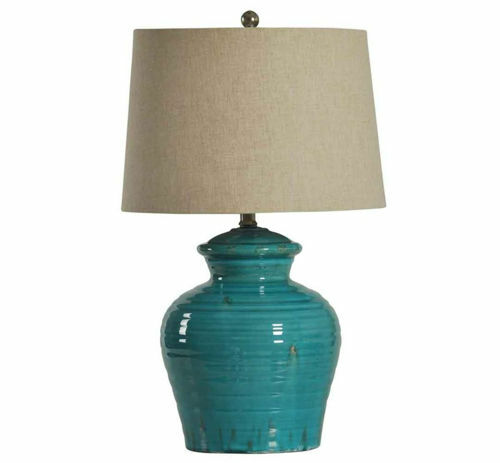 The Emily table lamp has a turquoise ceramic base with a tan fabric tapered drum shade. It has a 3-Way switch and 100 Watt max. It measures 15"W X 15"D X 25"H. "Buy the pair and SAVE!"